This is a simple yet practicle hook. Its unique latch prevents the chain from slipping out of the hook when tension is not applied on the rope. 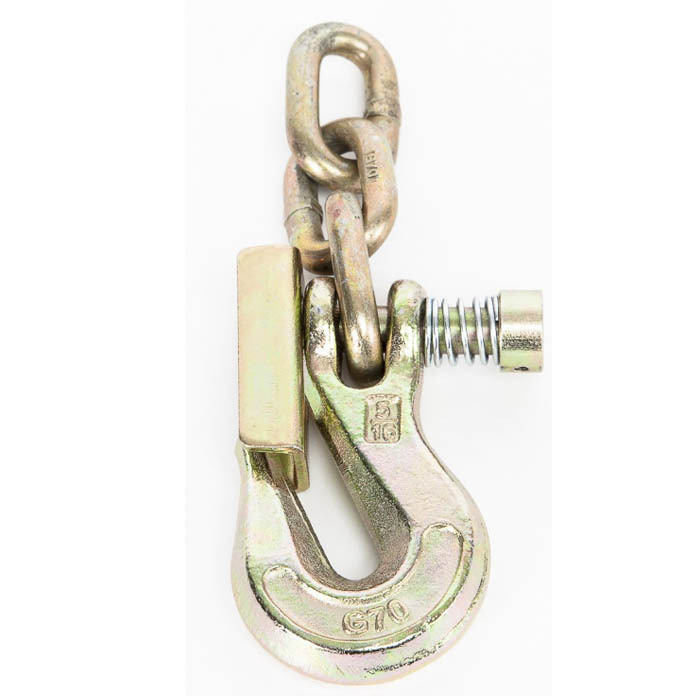 It is equipped with 3 links of 6 mm (1/4") chain and can be attached to any 13 mm (1/2'') rope or smaller. Attach the hook to the rope using the bowline knot. The bowline knot provides a secure connection, and can be untied if required. A great accessory to use in combination with the skidding cone (PCA-1290), the pulling plate (PCA-1310), the choker chain (PCA-1295) or HPPE rope choker (PCA-1372).